Coursera was founded in 2012 by two Stanford Computer Science professors (Daphne Koller and Andrew Ng) who wanted to share their knowledge and skills with the world. They put their courses online for anyone to take – and in a few months, taught more learners than they could have in an entire lifetime in the classroom. Since then, they’ve built a platform where anyone, anywhere can learn and earn credentials from the world’s top universities and education providers. The Cousera Wikipedia page has more details, for those who are interested. Coursera has partnered with 149 top universities and organisations to offer courses online and provide universal access to education. There are over 2000 courses currently available, with over 28 million learners – those are some serious numbers. Coursera has a wide range of study areas. The Business English offerings are varied and numerous. These include topics such as (cross-cultural) communication, networking, meetings, writing, marketing, sales, finance, etc. etc. etc. They have English lessons for general and specific purposes, including grammar, journalism, and technical writing, to name but a few. There are also courses for TESOL certification. In addition to learning English, there are other languages and many other areas, such as Business, Data Science, Computer Science, Arts and Humanities, Life Sciences, Engineering, Math and Logic, Social Sciences, and Personal Development. The programs are available via app or desktop, there is academic and technical support, with shareable certificates. There are several different types of course that Coursera offers, namely ‘courses’, ‘specialisations’, and ‘online degrees’. Each type has its own individual character, which will be fully described below. How do Coursera online courses work? You register for the course, watch the videos, read the documents, and do the interactive assignments. 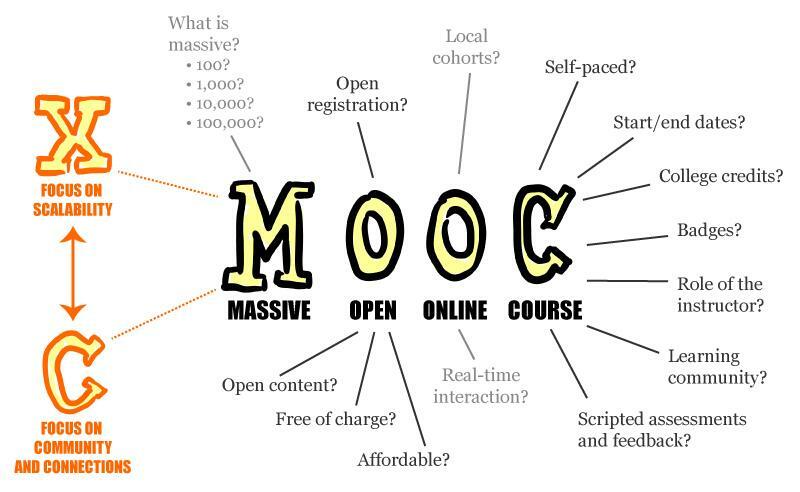 This is fairly standard for a MOOC (massive open online course). Some courses use peer-to-peer evaluation of student assignments, which means that the students correct each others’ work. These are the easiest to describe. The course usually takes 4 – 6 weeks to complete. Most of the courses cater for busy people, requiring only a few hours study commitment per week. The courses are structured, with specific start dates and all learners in the same class move through the course together, according to the schedule. There are also forums for the classes. Courses are online and available to everyone. A specialisation is a series of related courses, in order to master a specific topic. Shorter specialisations with only a few courses usually take a few months to finish, whereas longer specialisations with 10 or more courses can take a year to complete. All specialisations include a Capstone Project, which must be successfully completed in order to pass the specialisation. In addition to the individual course certificates, there is also a specialisation certificate when you successfully complete the specialisation. Specialisations are online and available to everyone. Unlike courses and specialisations, these online degrees have an admissions requirement. The ‘Masters in Innovation and Entrepreneurship’ takes about a year to complete and the other three (‘Master of Business Administration’, ‘Master of Computer Science and Data Science’, ‘Master of Science in Accounting’) take 2 to 3 years to complete. In all cases, the work commitment is between 15 to 20 hours per week for online degrees. If you’re looking for a new job, starting a business, or needing to complete prerequisites for an academic program, these learning opportunities are ideal for you. Of course, the desire to just learn something interesting is also a perfectly valid reason for enrolling. It seems that people with some sort of higher education, possibly also working, benefit the most from these offers. You can see that the courses and specialisations have relatively low weekly commitment requirements, which is ideal for those with busy schedules. Learners from disadvantaged backgrounds also benefit due to the financial aid that is offered. What do Coursera online courses cost? Firstly, you can access all lectures and non-graded course material for free. Financial aid is available for learners who qualify. The criteria are not public, so just fill in the form honestly and cross your fingers. You can also enrol for free for the first seven days. The prices listed here are for the complete course, including graded assignments and certificates. The cost depends on the type of course. These are priced at around $29 – $99 per course. These have a subscription model, which costs between $39 – $79 per month. Maybe slightly obvious, but completing the course quickly will save you money and procrastination can prove to be an expensive hobby. These are expensive, costing between $15000 – $25000. Although if you compare this to the cost of going to university to get your degree, it doesn’t seem so bad. Click the image below to find your course and start your studies. Have you tried Coursera online courses yet? Please tell us about your experiences in the comments section below. I always wanted to improve my English and never get the chance of doing so due to the full commitment of work. I also have thought of the further study to enhance my English and obtain a degree with it. But I try to search online and found out those courses is not what I needed. After reading Coursera from your site, I am very interested. The most amazing part is seems recognize due to partner with more than 100 university worldwide as well as I am able to study online which suitable me very well. Hi Maxx, many thanks for your comments. I really think that online courses will be more and more common as time goes by. Seems somehow inevitable.